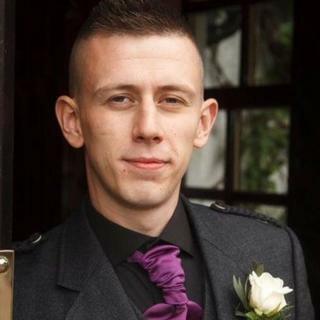 A 25-year-old man has appeared in court accused of murdering father-of-three Ryan Richardson in Glasgow. Anthony Allan, 25, is charged with killing Mr Richardson, 28, at his home at Kilmany Drive, Shettleston, on Friday 15 March. Mr Allan, of Old Shettleston Road, Glasgow, is alleged to have repeatedly punched Mr Richardson on the head and hit him with a baseball bat. He made no plea or declaration when he appeared at Glasgow Sheriff Court. Sheriff Ian Fleming remanded him in custody.